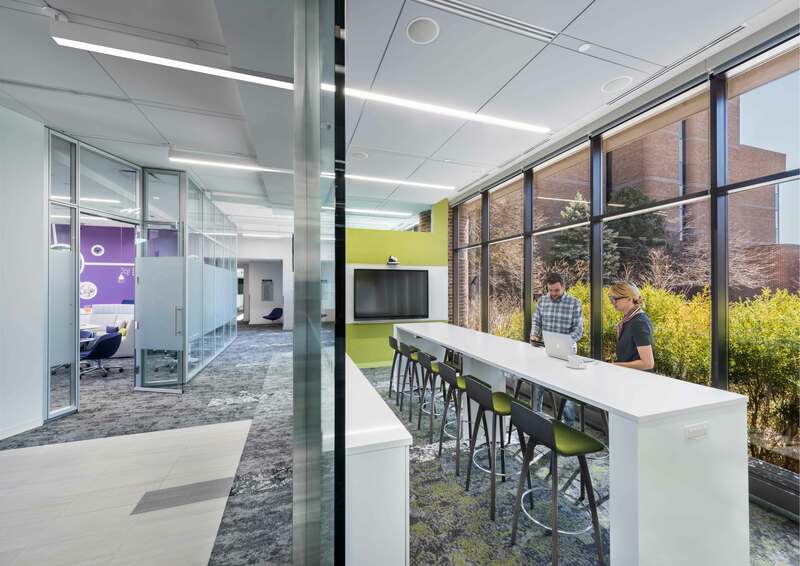 Wright Heerema Architects designed this pharmaceutical client’s Development Design Center in Northern Illinois. 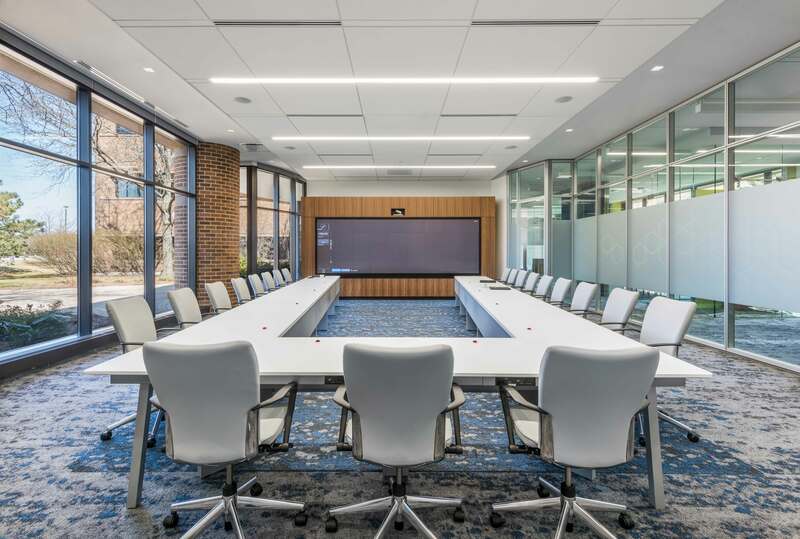 In addition to managing an aggressive schedule, WHA coordinated the AV technology and collaborated with outside team members to ensure a timely project delivery. 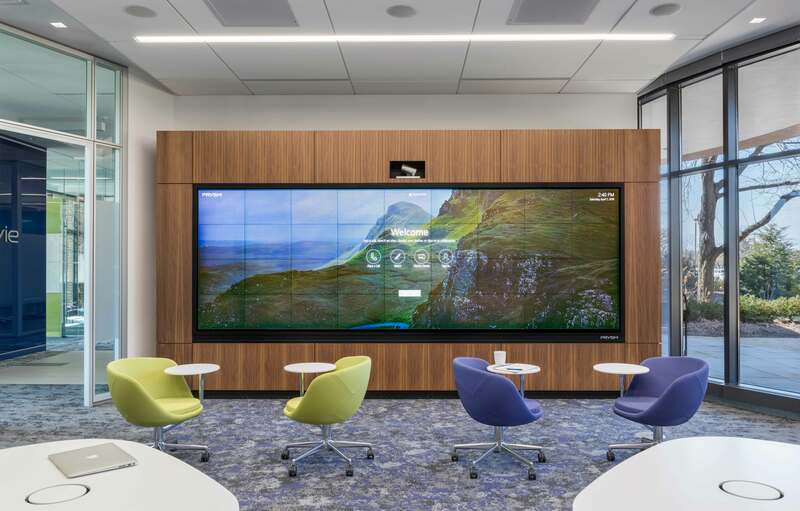 WHA’s unique design plans for this Development Design Center provided the client interactive, state-of-the-art workrooms that are centered around new 190-inch touchscreen technology. 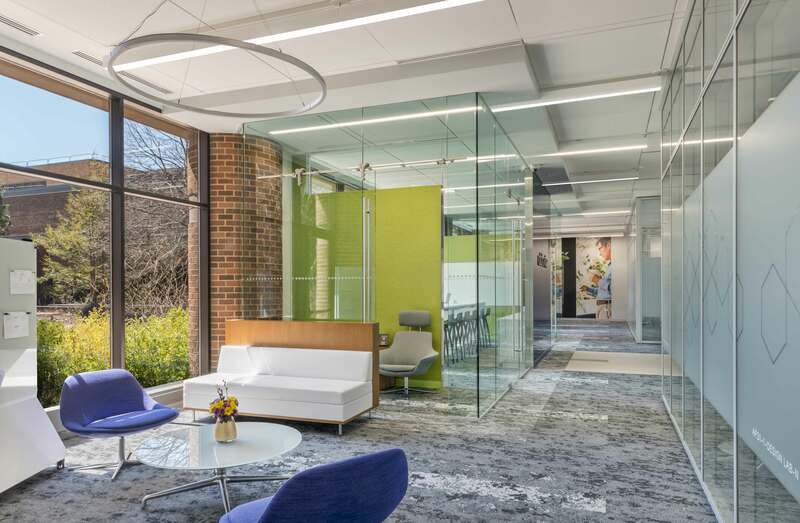 Glass walls and tall ceilings provide a modern aesthetic and maximize a feeling of openness. 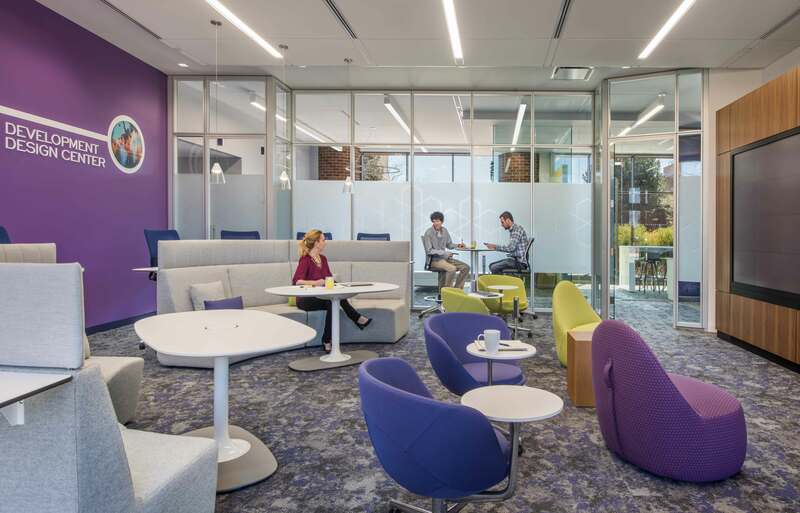 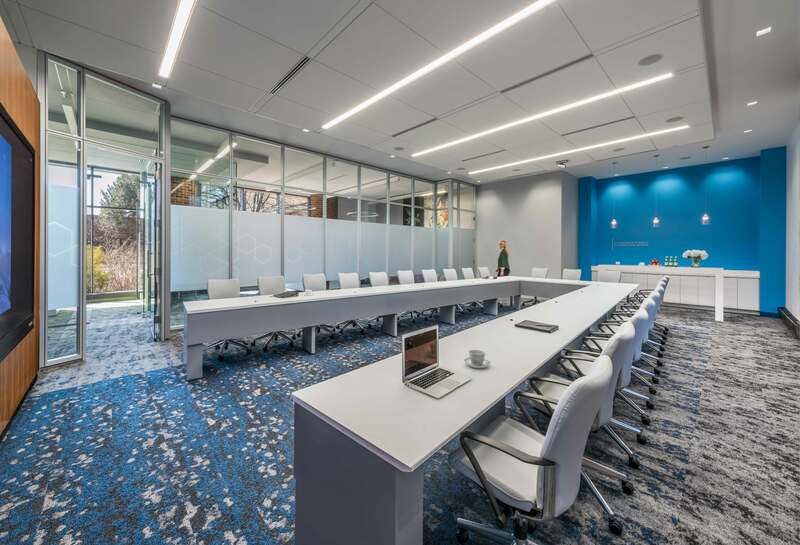 Adjacent break out and huddle rooms offer employees alternate meeting spaces, and the conference center’s functional placement helps maintain a connection between both adjoining buildings while maximizing access to the new, open lobby.